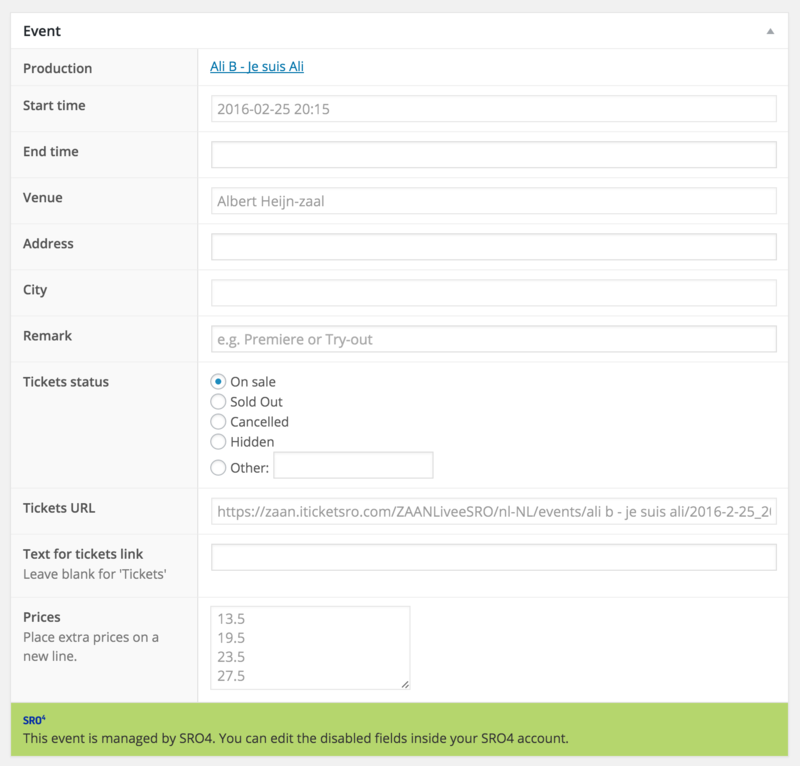 Automatically import your SRO4 events and sell them on your WordPress website. This extension to the Theater for WordPress plugin automatically imports your events from SRO4 and shows them on your website. You can add additional information like texts or images directly inside WordPress. Tickets sales happen inside the default payment screens of eSRO. Install the free Theater for WordPress plugin. Install the SRO4 for WordPress plugin. Enter your eSRO Base URL on the SRO4 tab in the Theater for WordPress settings. Definitely! Check out the websites of the Zaantheater in Zaandam and PSV in Eindhoven.